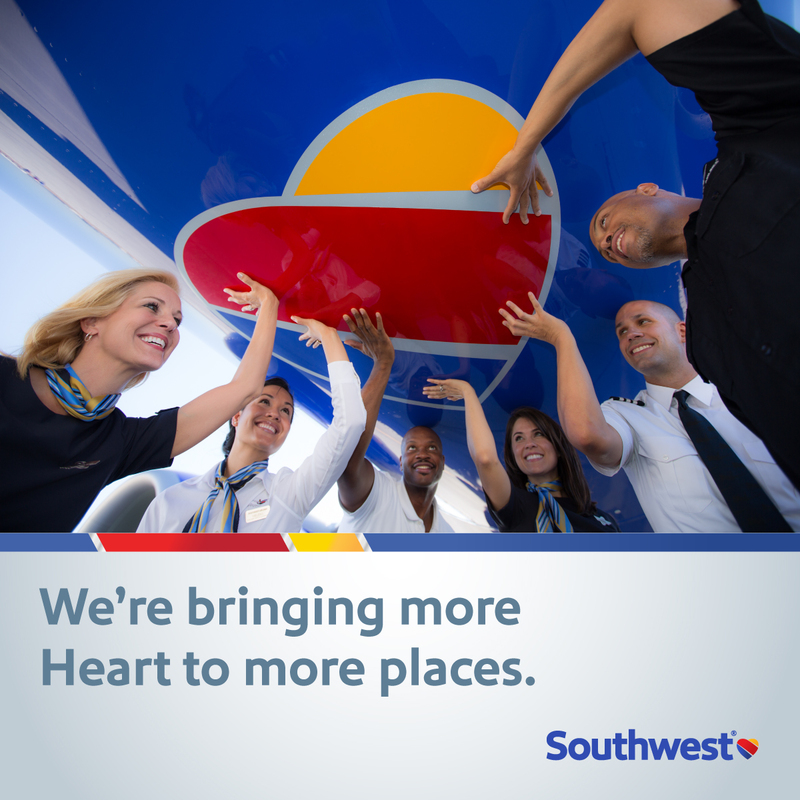 Southwest to Operate More Daily Flights Than Any Other Airline! If you thought after Southwest's HUGE international announcement last Thursday’s that we’d be tired of talking about new schedules, you’d be wrong! Today we release the Summer 2015 Schedule, making Southwest flights available for sale from June 6 through August 7, 2015. The increase in summer traffic lets a scheduler do what a scheduler LUVs best—add stuff! And there is a LOT of added service to talk about, all across the USA, as well as internationally. So let’s discuss what makes this schedule different than the rest! More flying than ever before. We achieve this through a small increase in our scheduled flying fleet, by the lower good-weather summer flying times, and a slight lengthening of our operating day—meaning we’ll start the day a little earlier and end it a little later. However, we absolutely are keeping our enhanced ontime-performance schedule standards in place. We’ll tweak our frequency set, as usual, but this time we’re really turning the volume up on the amount of change. I can honestly say that every single workgroup in Network Planning (that’s my group!) had a hand in creating this schedule, but many other groups in the Commercial organization worked incredibly hard providing input and information. It was truly all hands on deck! Southwest will operate at least 3,800 flights each weekday next summer. Not only is that about 150 more weekday departures than the combined Southwest and AirTran networks published last summer—that’s more than any other single airline on the planet! We’ll add service in 83 roundtrip markets—including eight new nonstop markets that will be permanent additions (including the long-requested, nonstop service between New Orleans and Oakland, which we eliminated after Hurricane Katrina in 2005). We’ll also add 13 new seasonal markets on weekdays, plus six additional seasonal markets that will operate on Saturdays only. We’ll decrease service in 41 markets, primarily seasonal, and end seasonal nonstops in two markets (both of them to/from Ft. Myers). See here for a complete run-down of the summer 2015 changes. International Continues. Our new service to Southwest’s fourth city in Mexico—Puerto Vallarta—begins on June 6 with one daily round trip from and to Orange County. Seasonal, daily nonstop service between Austin and San Jose del Cabo will return, and we’ll add the industry’s first-ever nonstop service between Baltimore and San Jose del Cabo on a Saturday-only, seasonal basis. Believe it or not, next summer we’ll operate up to 78 international flights on peak days, including up to three daily Chicago/Midway-Cancun roundtrips—the most service between Chicagoland and Cancun of any airline. (Note: the new Baltimore and Orange County to Mexico service is subject to final foreign governmental approval.) Nonstop LUV. Domestically, we’re adding what our Customers have told us that they want—nonstops—in markets that can support them. And some of the markets may surprise you; what’s interesting about the new nonstop markets for next summer is that they’re spread across all kinds of markets (again, thanks to the “all hands” approach! ), and not just flights to or from our largest Stations. Examples include first-ever daily nonstop service between Austin and Orange County (starts June 28), and double-daily roundtrips between Los Angeles and Portland, OR. Both of these are intended to be permanent new nonstop markets for us, plus we have other new permanent ones—and an even larger list of new or returning seasonal service. For a full list of the new markets, frequencies, and start dates, click here. So to sum it all up! Southwest will have 3,800 flights per weekday next summer, and Gary says there’s even more growth possible. We of course have the best Customer Service, and the best Employees, in the entire industry – with a future so bright we’d all better stock up on SPF50. In my almost 25 years as a member of this Family, I’ve never felt more fortunate or more excited about the future. If you have questions, just post a comment and I’ll be happy to answer. Here’s to a fantastic 2015—and to everyone, from my family to yours, HAPPY HOLIDAYS! I've waited years for SWA to come to my hometown of Richmond, Virginia. I travel frequently to Salt Lake City and thought with the arrival of SWA to Richmond I would finally be able to get to Salt Lake for less than the arm and leg it usually costs on Delta (or AA). Now that SWA is here, it is offering a pathetic on again, off again schedule between my two beloved cities. For a few short weeks this summer I can fly weekdays to SLC as long as I return on Saturday because that is the only day scheduled from SLC to RIC. Most of the time there is no schedule at all - in either direction. I can't help but wonder why this is, given all the possible connecting cities. What's involved in putting together a schedule for existing cities Bill? Do you think I"ll have to wait additional years for the RIC - SLC route?